The Province of Quebec has undergone a renaissance over the past fifteen years. Montreal has revitalised derelict areas around its downtown core. Its population has increased, and the city has become a fashionable place to live and work. More importantly, Quebec is a province of renters. Montreal has the largest apartment universe in Canada by far. It’s close to topping the apartment universe of the Greater Toronto Area and Greater Vancouver combined. Its unit density (units per 100 people) is higher than the City of Toronto and among the highest in the country. While Quebec City is a comparatively smaller market, it has an apartment density and an apartment universe higher than the City of Ottawa. Densities are similarly high in smaller centres, including Sherbrooke and Trois-Rivières. The size of the Montreal and Quebec City markets has helped keep average rents low. However, vacancies in both cities are also low. The size of both markets allows for a considerable range in the types of apartments renters will rent, and the amounts they are willing to rent at. New construction has taken place in both markets, with nearly 3,000 units added to the universe in the past decade. While this is a drop in the bucket compared to the size of the surrounding universe, this new construction has come in at the high end and commands some of the best rents in Canada. The low vacancy rates in both markets show that the new construction has been easily absorbed. The development of 515 Rue Ste. Catherine shows that high-end student housing, especially close to McGill University and its 6,800 international students, is a profitable niche. A third strong market exists in Gatineau, across the Ottawa River from the City of Ottawa. 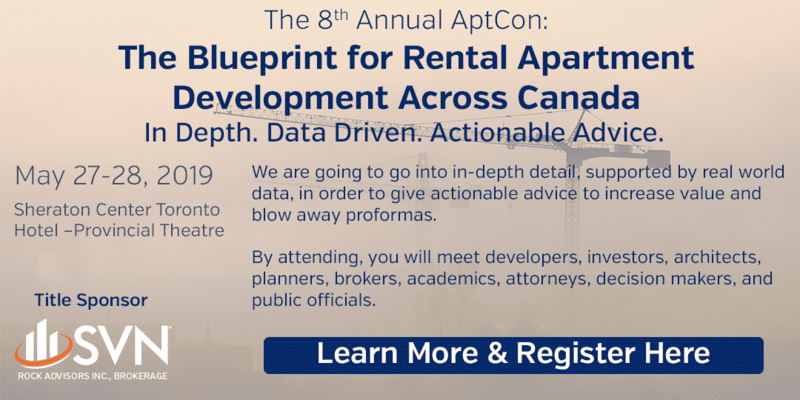 There, public sector jobs and access to Ottawa’s developing high-tech industry has driven up population and employment, as well a creating a demand for short-term lease apartments and furnished units. Vacancies are trending down. The province of Quebec may not have the repressed marketplace of the Greater Toronto Area or Vancouver, where demand easily absorbs new supply, but a marketplace clearly exists for new construction that caters to the high-end, luxury, student and furnished markets.